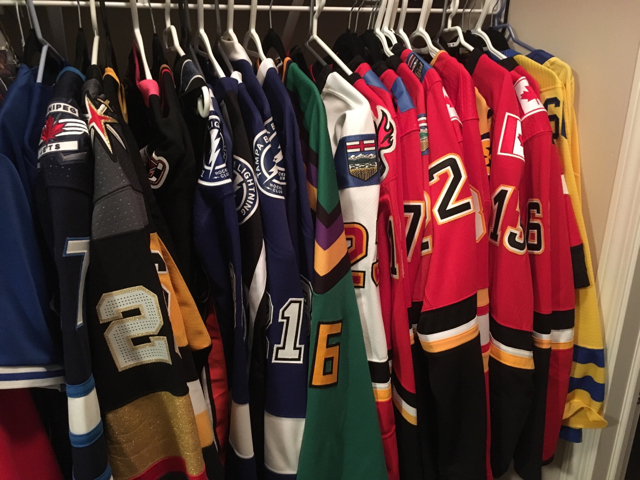 Looking into making an offer in for a condo, so I'm a bit more motivated to move many of the jerseys in my collection. The higher priced jerseys I'm not as keen on getting rid of, but have posted the price it would take for me to sell them. Entire List is in the link below. Last edited by FlamesFanStrandedInEDM; 04-01-2019 at 08:04 AM. A jersey lovers dream come true. why did i click on the link??? $25,000 worth of hockey jerseys? Awesome collection.... also bought a jersey from FFSiE before Christmas and went great for those of you considering buying one. Thanks again man! I figured I would add my voice to this as well. I too have bought jerseys from FFSiE before. Very happy with the transactions. I've got my name in on a number of jerseys this time and look forward to expanding my collection with a small portion of his awesome collection. He’s eluded to this mass sale before. If there ever was a time folks where you’re looking for a great deal on a jersey, this is it. One more plug for Darren. Top end merchandise as advertised. Easy to deal with. Really looking at that tkachuk. I really want to buy one of these but I won't be home until April. Can we arrange something? Thanks to everyone who has already picked up their jerseys in a timely manner. List is currently up to date with what has sold and is pending pickup. Last edited by Scorch; 01-24-2019 at 02:10 PM. 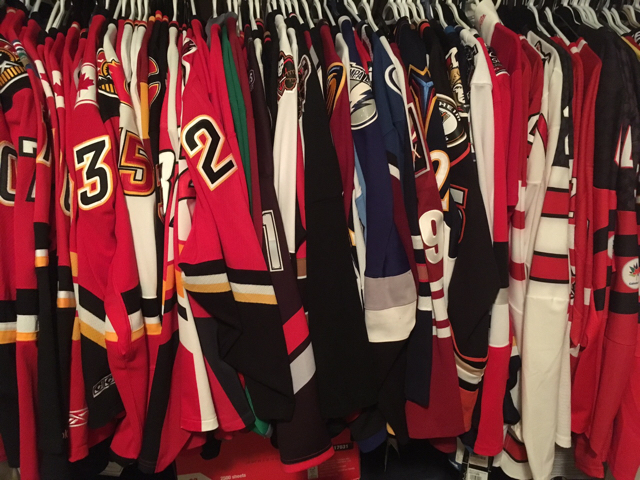 great collection, not as many game worn as I'd imagined.. Wish I had funds for that Toews, that's a decent price. Is it a 2006 WJC, or a 2007 World Championship jersey? Last edited by brew; 01-31-2019 at 02:32 PM. Came in looking for the Wild Wing jersey, left disappointed. +1 for FFSiE though. Great guy to deal with.